The view of Spearfish Canyon from Buzzard's Roost. All photos by Rob Corso. Rob Corso hits hiking trails, scales high points, and witnesses a uniquely American pastime in South Dakota's Black Hills. Spoiler: Beautiful buffalo photos below. 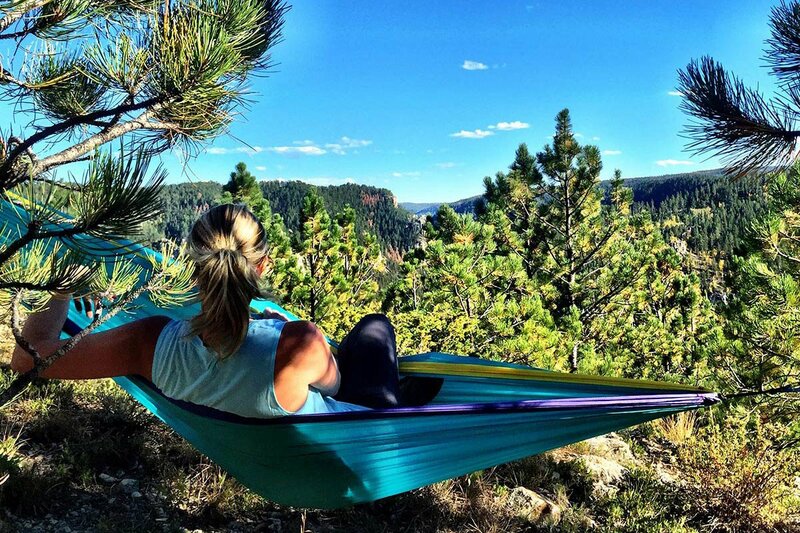 SOUTH DAKOTA – I want to live a good life. I'm not exactly sure what that means, but I'm learning. I've stepped into good life territory while traveling, mostly in the great outdoors. I have a hunch that the good life exists just beyond what's comfortable; that it lies in experience, not in objects. This time, I dug in and discovered that for people who like to spend their time outside, the are an exceptional place to visit. All those harsh, cold winters lead to incredibly lush summers, making this western corner of the state an outdoorsy paradise. There are five national parks. Incredible hiking, canoeing, fishing, camping, and sightseeing. I could have stayed for weeks. I started in , which has some of the most breathtaking views in the entire state. I got my feet wet (literally and figuratively) in during an easy one-mile hike out, where open valleys give way to Rocky Mountain peaks sparsely covered in ponderosa pines. 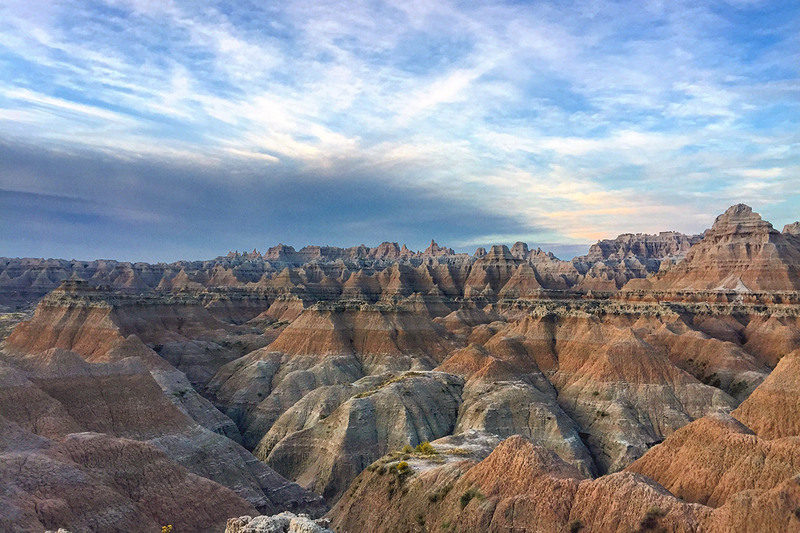 The most enjoyable hike in South Dakota is undoubtedly in , the highest point in South Dakota and anywhere east of the Rocky Mountains. The best way to access the summit is to start at the trailhead at Sylvan Lake. Round trip to the summit and back is seven miles, and the walk is beautiful the entire way. Come summer, wild raspberry bushes bloom along the trail that winds up the mountain. By the time you reach the top, your head will literally be in the clouds. Standing there, it was easy to understand why it's such scared ground to the Lakota people, a Native American tribe from the area. The view from Harney Peak. Another incredible outdoor experience is visiting the . It's the world's largest sculptural undertaking, dwarfing Mount Rushmore, with no estimate as to when it will be completed — certainly not in our lifetime. (Sixty-eight years and counting.) I had the opportunity to get to the top of the mountain and touch the face of Crazy Horse. Being able to get so close to such a massive, detailed artwork left me speechless. There is magic in the . Words cannot do this place justice. Camp in the national park. See every inch of it that you can. I wish I could truly describe the rugged beauty of the place, and what it felt like to stand on the edge of the gorges as the sun was rising, changing the color of the rock every minute. But it's a place you have to experience to understand. On the last day of my trip, I went to the 50th . 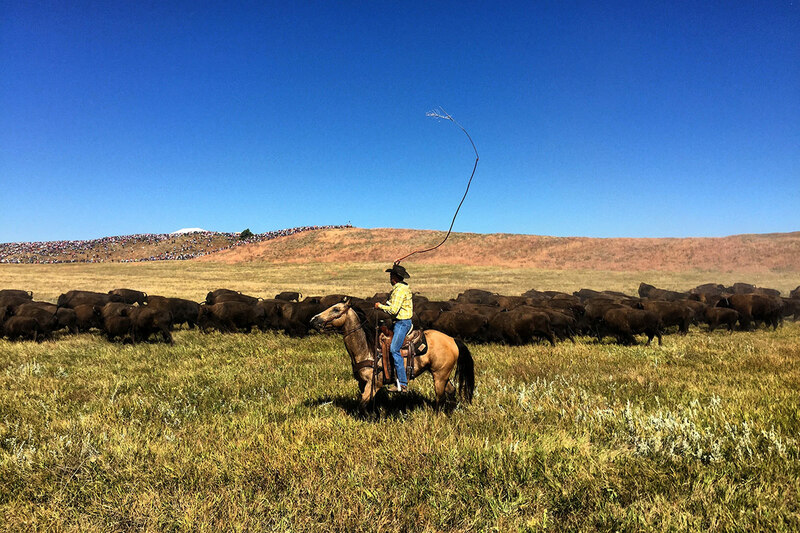 Each September, a group of about 40 cowboys and cowgirls gather the 1,300 buffalo that live in the park and herd them into corrals so they can manage the bison population. 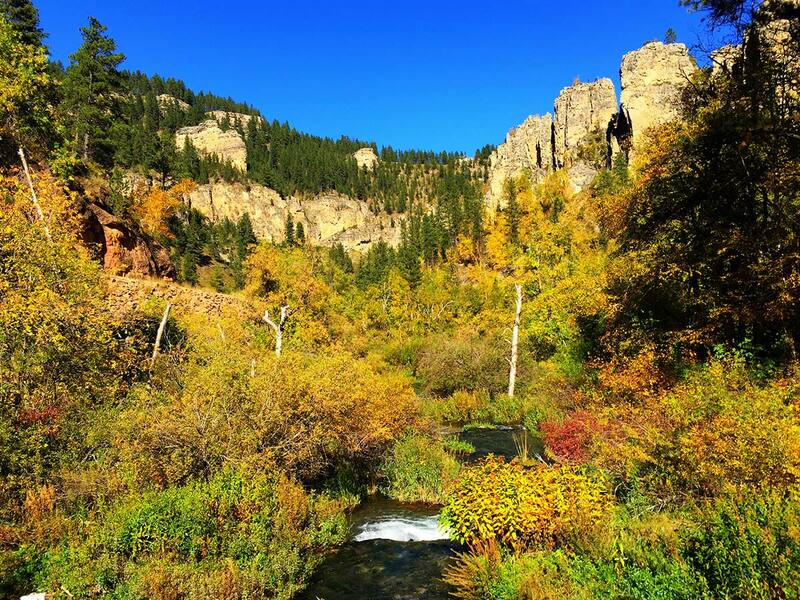 It would be easy to spend an afternoon in historic , the once lawless town made popular by the Black Hills gold rush in the 1870s. And any drive through South Dakota wouldn't be complete without the requisite stop at , one of America's most popular roadside souvenir shopping malls. 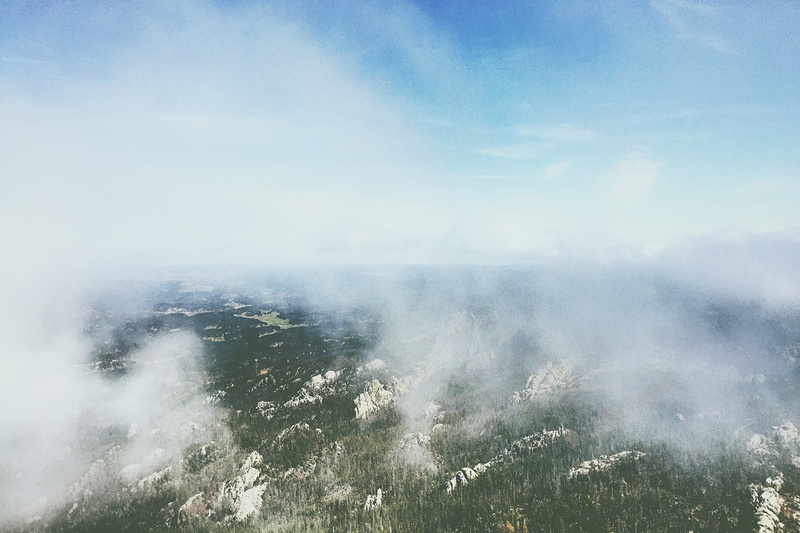 The most direct way to get to the Black Hills is to fly into Rapid City. From there, everything is accessible by car. Routes to all the attractions are easy to navigate. This is a place built on tourism, so signage is clear. Lots of friendly locals are happy to help you out as well. There's an abundance of affordable lodging. near the entrance to the Badlands is a good spot. has some nice rooms. The is a real treat for its historic past and beautiful rooms. Their restaurant has some of the best food in the state. But for an extra dose of charm, check out nice cabins or vacation home rentals on Airbnb.